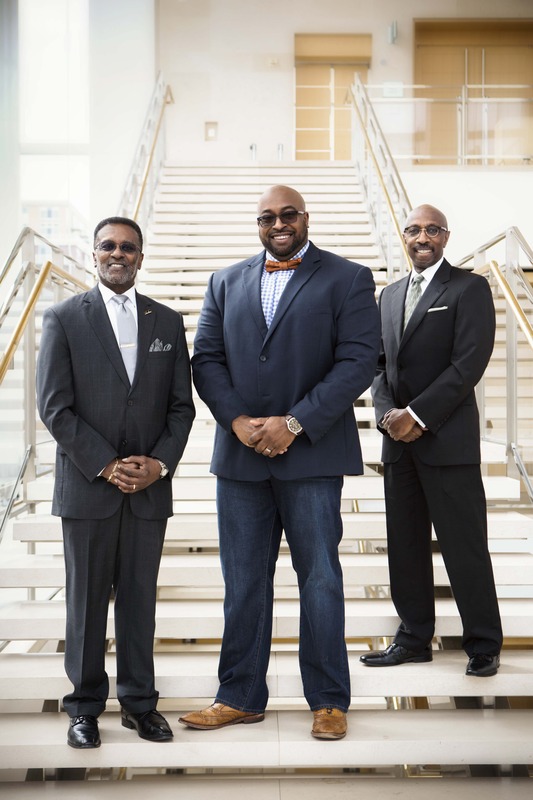 Enis Ragland (left), Chris Canty and J.R. Sims support and mentor our next generation of leaders. A recent UW-Madison grad, Canty had grown up around his father’s numerous volunteer activities in the community and saw the positive impact firsthand. But it was the sense of responsibility his father and his peers shared in helping to shape the next generation of Madison men that begged the question of his readiness. Expectations were high, Canty recalls, but he was more than ready. “I think we’re doing so many great and really positive things right now,” says Canty, who chairs the group’s annual Backpacks for Success program that gives away over 1,500 backpacks to school kids every August. J.R. Sims says the opportunity to make a positive difference in even a single child’s life is what drew him to join “The 100,” as it’s known to its members. With the launch of a community collaboration called Project Soar, The 100 is poised to impact some 300 students through one-on-one mentoring, career counseling, and conversations around social issues affecting young African American males. Enis Ragland, who founded the local chapter in 1994 and helped establish the 100 Black Men of Madison Scholarship Fund at MCF, is thrilled so many organizations have stepped up to partner with The 100 in its efforts to close the opportunity gap.